Ubuntu repository does not provide the latest version of Apache Tomcat. 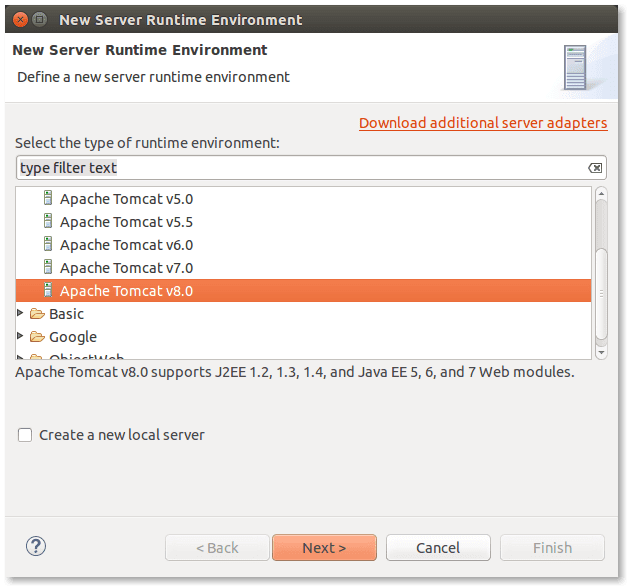 If you are desired to install the latest version of Apache Tomcat and to add it to the Eclipse, this article is for you. Download the latest version of Apache Tomcat from this link. Enter the command given below to extract the Tomcat from the ~/Downloads directory. If your downloaded file is in any other directory, replace the last parameter by the actual file path. Rename the folder name to apache-tomcat. Tomcat creates some files at the runtime inside this folder (Log files and some other configuration files). If you want to start Tomcat without root privilege, it is required to change the permission of this directory. Enter the following command to change the permission of apache-tomcat folder. An environment variable has to be added to the system. 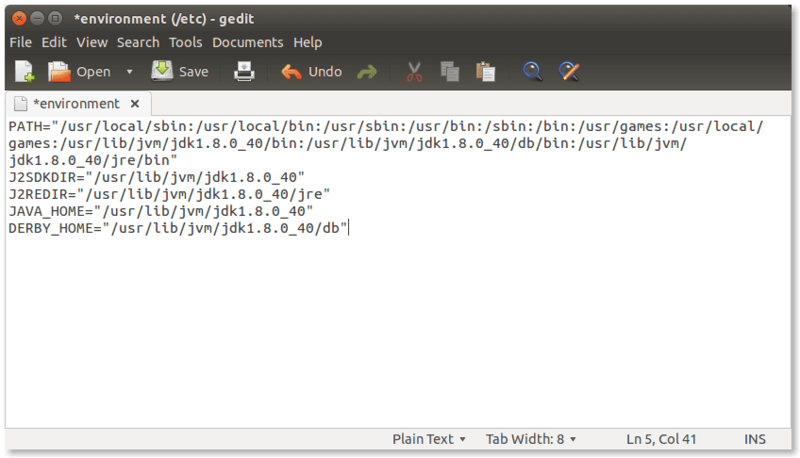 Enter the following command in the terminal to open the /etc/environment in gedit. Add the following line at the end of the file. Save and close the gedit. The /etc/environment before the modification. The /etc/environment after the modification. Reload the environment variables to the current terminal using this command. Enter the following command to start the Tomcat server. Visit to the following URL. 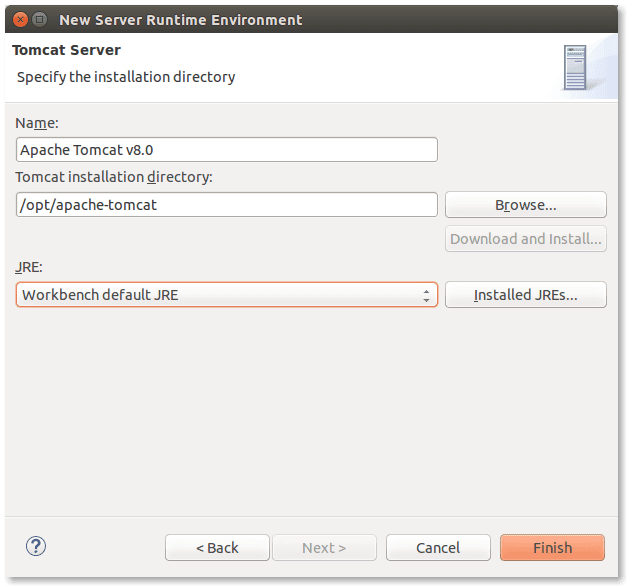 If you get the Apache Tomcat home page, you have successfully installed the Apache Tomcat in your system. To stop the Tomcat, enter the following command. If you do not have the Eclipse, follow this link and install the Eclipse first. Goto Windows → Preferences in the menu bar and select the Runtime Environments under the Server. Select your Apache Tomcat version under the 'Apache' root and click 'Next'. Browse and select the Tomcat installation directory. Click on the 'OK' button to close the Preferences dialog. Now you are ready to use Apache Tomcat from Eclipse. Hi Gobinath, Thanks for the tutorial. 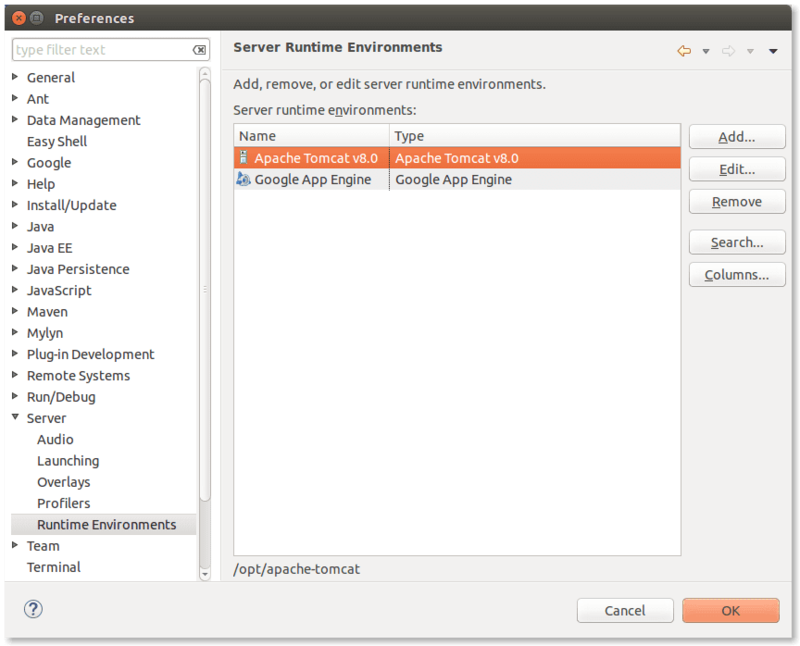 If I ask what happens to my apache install running on port 8080 when I install tomcat on the same port? Two processes cannot listen to the same port. I usually allocate port 80 for Apache and port 8080 for Tomcat. Depending on your preference change the port of either of them. I am getting "Unknown version of Tomcat was specified." when I go to select the Tomcat installation directory. I hope you have installed the Tomcat as given in this tutorial. Make sure that you are providing the parent folder of Tomcat and your Eclipse supports the specific Tomcat version. 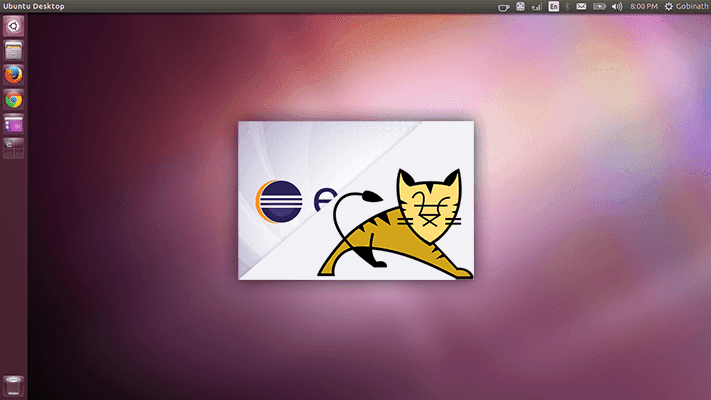 I am using Tomcat 8.5.4, Spring Tool Suite Version: 3.8.0.RELEASE, Java 8, and Ubuntu 16.04. I am not sure how to check if I am using the right tomcat version. It helped me for installing tomcat v8.5 on ubuntu 16.04 for eclipse neon. Searched alot of sites,none of them were useful.Thank you for the beautiful post. Okay. My bad. I need first to stop oracle-xe service (using the same port as Tomcat). Thanks for helpful article! I installed Tomcat (as in the tutorial) but when I open localhost:8080/ browser displays login. How can I login? Thank you so much. Really helpful. 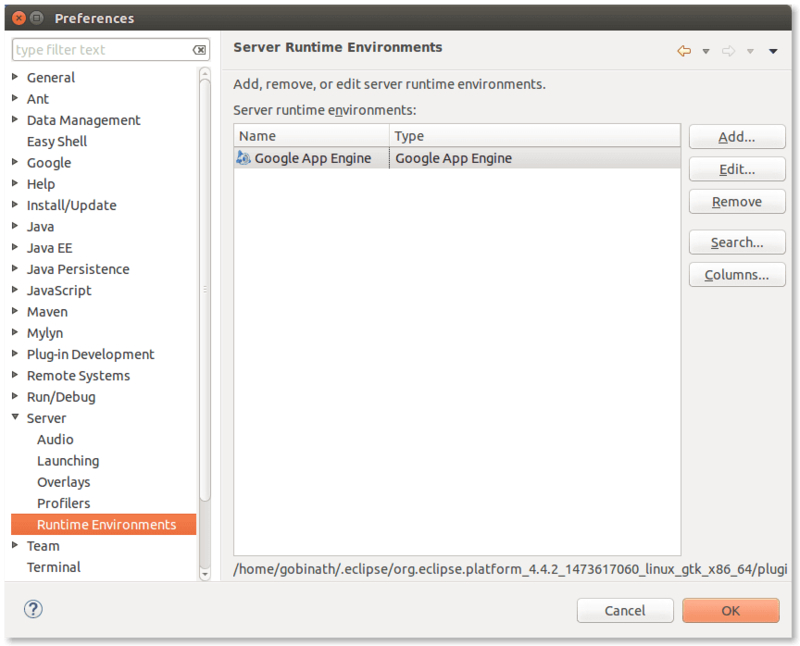 Do you use the Eclipse IDE for Enterprise Java Developers? The Eclipse IDE for Java Developers may not have this option.